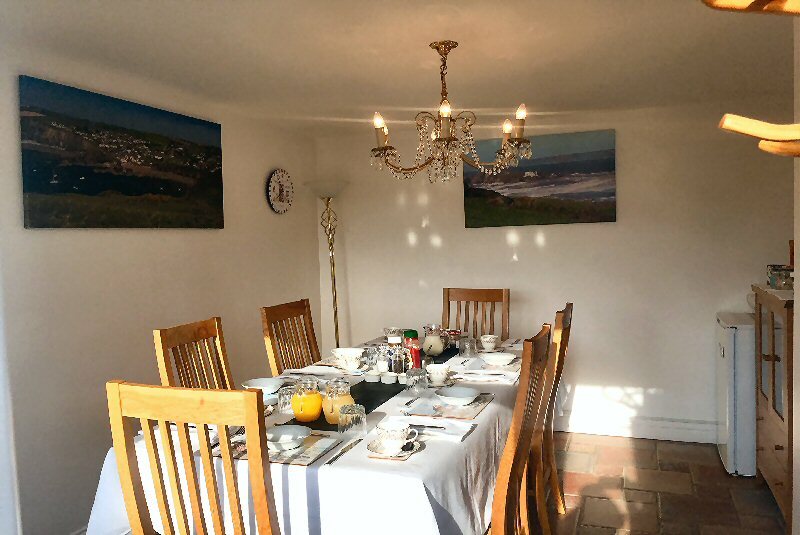 Our breakfast room has views over the valley towards Galmpton and is often bathed in morning sunshine when you’re enjoying your meal. 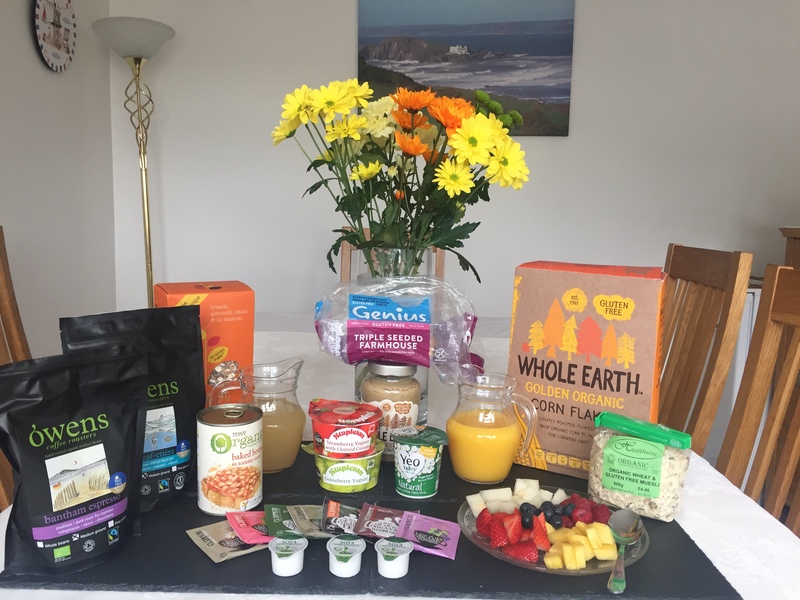 Breakfast starts with a selection of organic cereals, fruit juices, fresh fruit salad and organic West Country yoghurt. There is refreshing hot tea and coffee accompanied by organic milk (soya or rice milk is also available). There are also assorted herbal teas and caffeine free tea and coffee available. We offer a traditional cooked breakfast or a lighter option if required. We offer free range eggs (boiled, fried, scrambled or poached) and locally produced bacon and sausage. To finish we have a choice of toasted granary, white and gluten free bread served with a selection of local jams and marmalade. Special diets are catered for as much as possible, please advise us of any special requirements when you book. Please note we can also provide packed lunches with a little notice. In both June 2014 and May 2017, we received the highest possible food hygiene rating from the Foods Standards Agency.